Spas make the perfect addition to any in-ground pool. After a long day at work, enjoying a comfortable evening in your spa can make even the biggest stresses melt away. At Landau, your #1 custom pool and spa builder in the Apple Valley area, we build beautiful pool spas, complete with water features and spillovers. Add a bit of extra pizazz with custom color tiling and design. 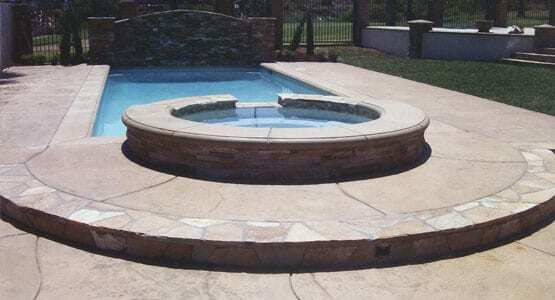 Design and incorporate a beautiful relaxing spa to your new pool or remodel today! Contact us at (909) 367-6122 or send us a message. Our creative design team will design the perfect spa for your pool and you!